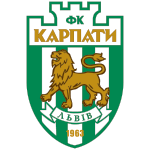 Warning: Vakula (29), Ignatenko (47), Demiri (59), Yavorsky (88) - Sapai (51), Sklyar (65), Sharpar (68). By the tenth minute Kolomoets, Sapay, Kulach and Sklyar could reasonably hope for success at the gates of the field's masters. There were also dangerous flanking appeals, where Saki was particularly active, who gradually got to the main team of the first team. And again Sapai was in the spotlight: Vadich's tight blow pulled Halchuk under the crossbar. On the 37th minute, Chizhov, who was involved in the attacking actions of his team, was struck by a dangerous strike from the pitch line on the cross. With the start of the second half, the Mariupol team played more actively, resulting in a goal scored by Alexander Zubkov - 1:0. 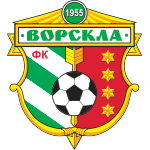 Vorsklyany did not retire, and with all their strength continued to seek their chance at the gates of others. Only Kulach had at least two possibilities to equalize the situation. Kolomoyets acted very actively and did not want to go to the grid. Serhiychuk, it seemed, would leave no chance for Halchuk, striking hard in the near-corner - a bit inaccurate. Saki experienced his temper, fulfilling the "standard" almost from the line of the penalty area, and the ball got stuck in the palm of the feet of Mariupol players. All attempts of Vorskians to save at least a draw at the end of the game, to my great regret, I have not led to anything.